WOOGLIN’S IS THE BEST PLACE IN COLORADO SPRINGS TO GET A VEGGIE SANDWICH. 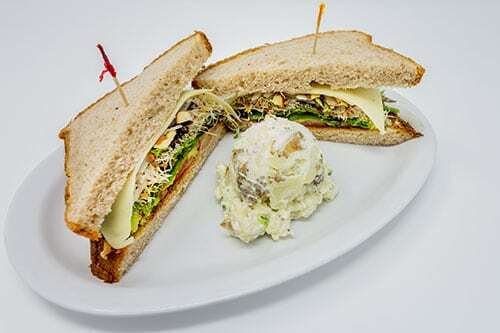 Swiss, avocados, snow peas, lettuce, tomatoes, onions, sprouts, almonds & poppyseed dressing served on our fresh-baked walnut wheat bread. Served on the side is your choice of house-made chips, veggies, or potato salad.